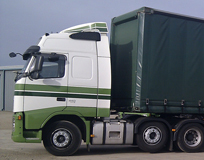 Halls Transport Ltd. is a well established haulage company based in Cambridgeshire providing refrigerated (chilled and frozen) and general (curtainside and flatbed) transport services alongside a 24/7 express courier service. Halls Transport Ltd. offer a range of refrigerated services that include a delivery and collection service of chilled and frozen goods. Halls Transport Ltd. offer 24/7 Local and National Geographic coverage in the Express Courier sector for the best rates around. 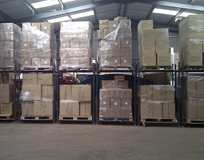 Halls Transport Ltd. have internal and external facilities for both short term and long term for all your storage needs. 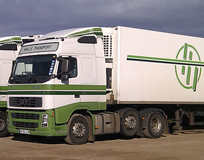 Halls Transport Ltd. was founded in 1971 delivering local produce on behalf of farms and vegatable packers in the Ely area. Since then, the company has progressed from it's original premises in Ely to it's current location in Little Downham. Founded by Mike Hall, the company remains a family business with a reputation for delivering a consistently high standard of service. Halls Transport Ltd. provide a truly transparent accountable service focused on customers requirements. 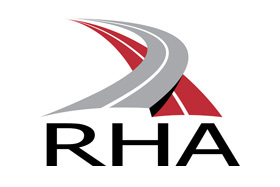 Halls Transport Ltd, are proud to be a member of the Road Haulage Association. Fenmarc have had an exceptionally good, long standing relationship with Halls for over 15 years as a business. In this time, Halls have proven their ability to react to seasonal peaks & troughs, often, gone above & beyond and deliver a consistent performance”. We have been using Halls Transport for over 15 years, they have a great team, their service and communication has been perfect. We always's find their prices very competitive. Halls are an excellent local Private Company, the type of organisation we love to support”. Halls Transport provide an excellent transport service, offering logistical solutions whenever necessary,always willing to go the extra mile. Customer service always comes first. I have used Halls Transport for over 7 years and can't ever remember being let down”. If we can offer you more detailed information over the telephone than you have been able to find on our website please do not hesitate to get in touch and one of our experienced staff will contact you. Alternatively telephone 01353 861726. 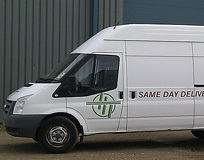 © 2011 Halls Transport Ltd.. All rights reserved.